TMS software organizes a new training day on Thursday June 8th in Kortrijk - Belgium. All day, sessions will be spent on TMS VCL components, TMS FNC components and TMS Cloud components with also sufficient session time allocated to handle your specific questions on TMS components. 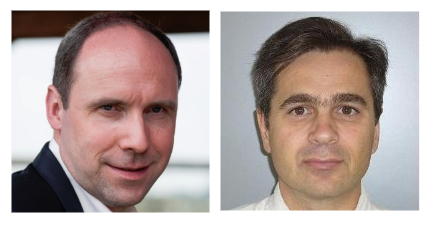 The sessions will be given by Bruno Fierens, Embarcadero MVP in Belgium and CTO from tmssoftware.com and Bernard Roussely, product manager of TMS Cryptography Pack. All sessions will be in English. Insight in the architecture of the TMS FNC controls and a brief introduction to using the TMS FNC library to write custom controls for VCL, FMX, LCL. Use the TMS messaging component for machine 2 machine messaging from Windows, iOS, Android, Linux. Overview of features and advanced capabilities in the TMS Google Mapping components for VCL & FMX. Access popular cloud services from VCL and FMX applications. Use service agnostic cloud file storage access. Use cloud data storage with the myCloudData service. Use the cross-platform PDF generation engine and applying the PDF lib for automatic PDF generation from several TMS components. The cost of the TMS training day is 95  exclusive VAT. This includes a full day access to the sessions and coffee/drinks during this day. A hot meal is served for lunch. Register now! This blog post has not received any comments yet. You will receive a confirmation mail with a link to validate your comment, so please use a valid email address. the monthly TMS Software alerts.